Jetstream is an impulse fan designed for the ventilation of car parks and underground service areas, so as both to reduce levels of polluted air and to assist with the extraction of smoke in the event of a fire. Such fans use tunnel ventilation technology to eliminate the need for costly and bulky ductwork. 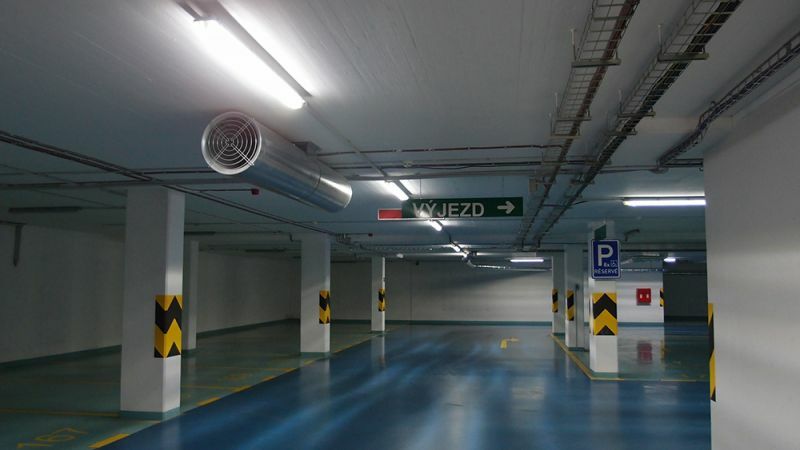 Compared to ductwork systems, this may save car-parking spaces, reduce running costs and noise, and make the car park a lighter, less cluttered environment. Wide variety of product options – Two non-flanged and three flanged versions to choose from, both unidirectional and reversible. The fan is suitable for either two speed or variable speed operation, depending on the application. Where the unit is inverter (variably) controlled, the amount of power consumed is reduced. Click on the Options tab above. Certified performance - Jetstream has been exhaustively tested and certified to EN 12101-3 in accredited third party test laboratories and is CE marked. Durable construction – Jetstream is manufactured from hot dipped galvanized casing with the option of a polyester powder coating to any RAL colour. Jetstream is manufactured to the ISO 9001 quality standard. As part of a designed scheme involving detection, controls and extract units, Jetstream adds momentum to the air to thrust it towards an extract point. All versions of Jetstream and their standard isolators fully meet the F300 time/ temperature classifications of EN 12101-3 (300°C continuous operation for one hour). Test Certificates are available on request. 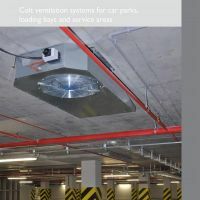 Colt Jetstream Car Park Impulse Jet Fan – for controlling air movement in a car park or underground service area. Tested and certified to EN 12101-3. 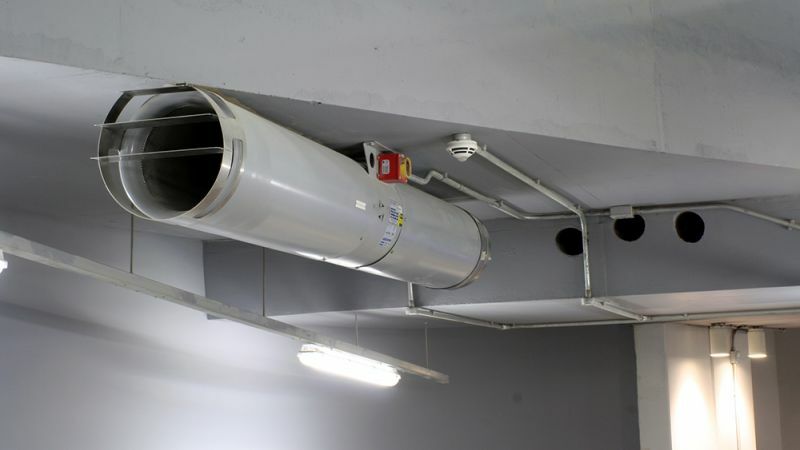 High velocity powered car park induction ventilation unit, for directing exhaust fumes (in day to day mode) and smoke in a controlled manner towards the main extract positions of a car park or underground service area. 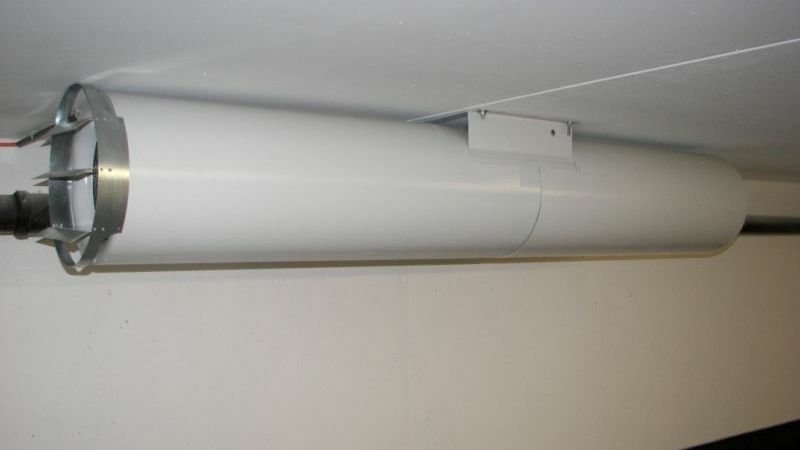 Comprising an axial fan with inlet and discharge attenuators with outlet diffusers enabling flush fit with the underside of the car park ceiling. Motors supplied as standard with a IP65 lockable fire rated isolator or optionally with a fitted IP55 terminal box. The complete unit, including isolator, is rated at 300°C for 60 minutes, Class F300 to EN 12101-3 (2002). Jetstream is fully CE marked.